UL's Bernal Professor of Crystal Engineering Mike Zaworotko has been named the Science Foundation Ireland Researcher of the Year today. The winners of the prestigious 2017 Science Foundation Ireland awards were revealed at the annual SFI Science Summit today. The UL based SSPC also picked up the SFI Industry Partnership Award. The SFI Industry Partnership Award celebrates SFI collaboration between an academic research group and industry. 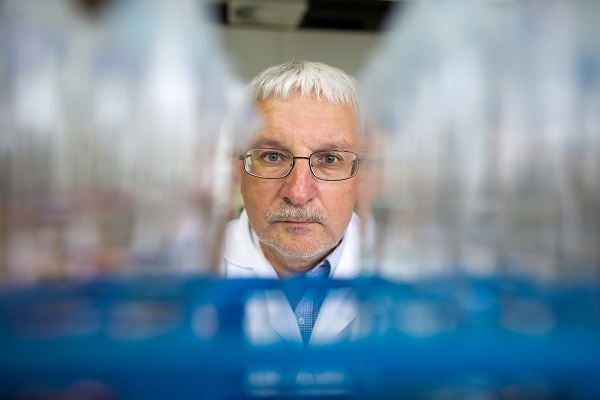 The SSPC & Advanced Biopharmaceutical Technologies - Spokes Project is led by the SSPC SFI Research Centre at the UNiversity of Limerick in partnership with seven leading Biopharmaceutical companies in Ireland and NIBRT. The partnership aims to develop innovative single-use disposable systems for bioprocessing.